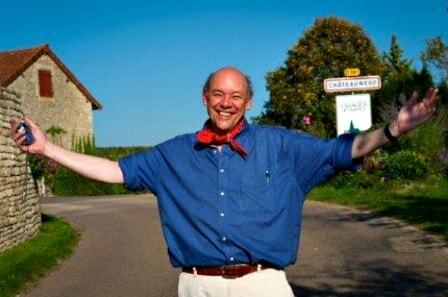 Don George is a legend in the travel writing world, and has been for more than a quarter of a century now. 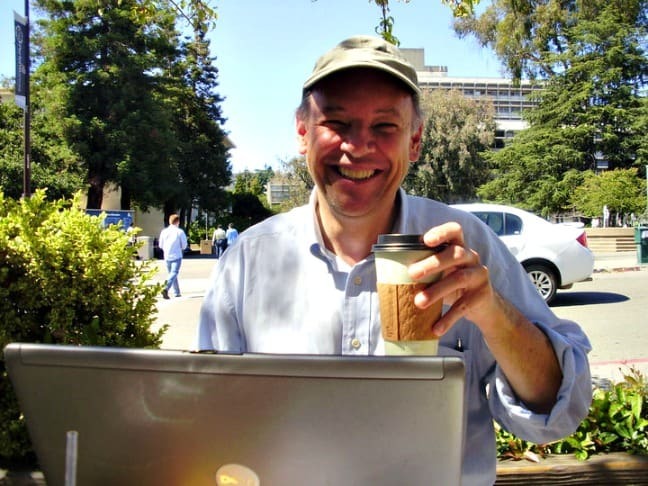 His resume reads like an aspiring travel writer’s bucket list: Since getting his first full-time gig at the San Francisco Examiner back in 1980, he’s served as a travel editor for the San Francisco Chronicle, Salon.com, Lonely Planet, National Geographic Traveler and BBC.com. 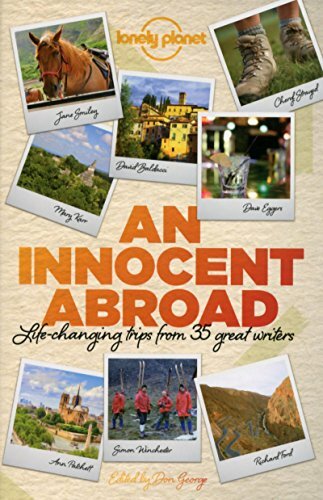 He literally wrote the book on travel writing– appropriately titled Travel Writing– and he’s edited more than a half-dozen literary travel anthologies (including Lonely Planet’s latest collection, An Innocent Abroad). 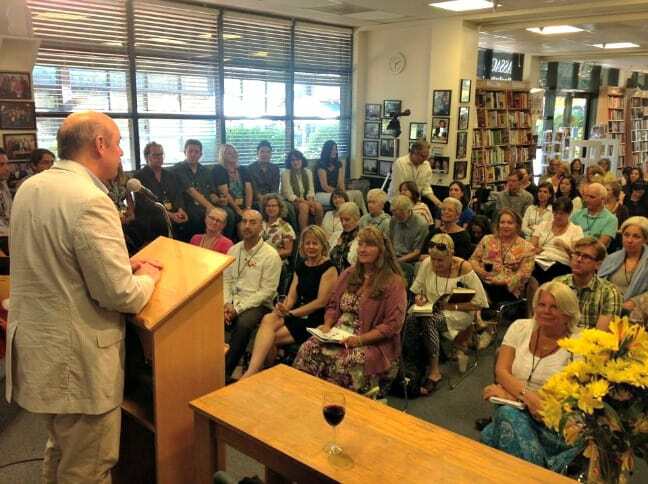 Perhaps even more impressive than his accomplishments as a writer and editor, Don has invested an impressive amount of time and energy into education and nurturing up-and-coming writers and bloggers. 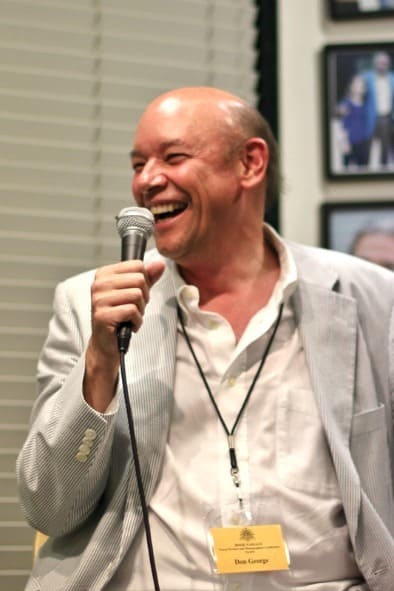 Not only through the Bay Area’s annual Book Passage Travel Writers and Photographers Conference, of which he is co-founder and chairman, but also through his speaking engagements and workshops at conferences such as TBEX. Coincidentally, the first time I met Don was after my own appearance at TBEX as part of the Opening Keynote Session on Responsible Travel in Cancun last September. He was one of the first people to come up on stage and congratulate me on a job well done, which– given the fact that GGT was partially inspired by my love of National Geographic– was deeply humbling. 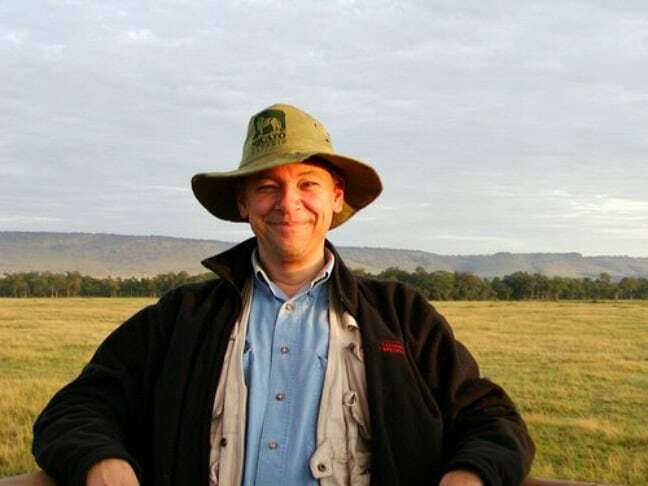 I later attended his session on Travel Writing, where his passion for the craft of storytelling and his earnest desire to help bloggers become better writers proved incredibly infectious. On the last day of the conference, Mary and I noticed Don and Tim Leffel, whom we’d also met the day before, having dinner with our friends David and Veronica James (a.k.a. The GypsyNesters). On our way out of the restaurant, we stopped by their table to say goodnight, and they insisted we join them for drinks and dessert. We talked about travel, writing and the future of blogging for hours, and I knew then that I needed to talk to Don more in-depth for GGT’s Interviews series. Do you have any early travel memories that fueled your passion for exploring the world? From an early age, my parents took my brother and me someplace for summer vacation. They were great travelers, and planted that seed of wanderlust and enjoying being in different settings and meeting different kinds of people. We didn’t go anywhere exotic: I grew up in Connecticut, and we’d go to New York and Lake Ontario. Some summers we went up to Canada, or down south to North Carolina. The first trip where things really crystallized for me was between my junior and senior Year of college, in a summer work abroad program in Paris. That was super exciting. Suddenly all of the potential of being out in the world presented itself to me. I went back to school to finish my senior year, and then went back to Paris the summer afterwards. That’s when everything kicked in for me. How did you work your way into travel writing? It wasn’t an easy, clear path. I knew since high school that I wanted to be a writer, but I thought I was going to be a poet. That was my plan… an eminently practical profession. (Laughs) After a year in Athens, I decided to go to creative writing graduate school instead of comparative literature graduate school. I got a Masters Degree in creative writing, wrote a book of poems for my thesis and got a fellowship to live in Japan for two years. Most of them wrote back saying, “Thank you very much, but we have about a dozen Pulitzer Prize-winners in Tokyo already, so we don’t need your services.” But a few said, “If you’re going to be in New York before you go, we’d be happy to sit down and meet with you.” It was astonishingly nice and, at this point in my life, I’m amazed that it happened. I ended up meeting a lot of editors that way, and I brought my Kilimanjaro story with me as a writing sample. One of the editors I met was the Travel Editor for Mademoiselle, and I left my story with her. When I got to Japan a month later, there was a telegram waiting for me saying, “A hole opened up in our November issue and we put your Kilimanjaro story in it. We hope you don’t mind.” That was my first published travel article, in 1977. 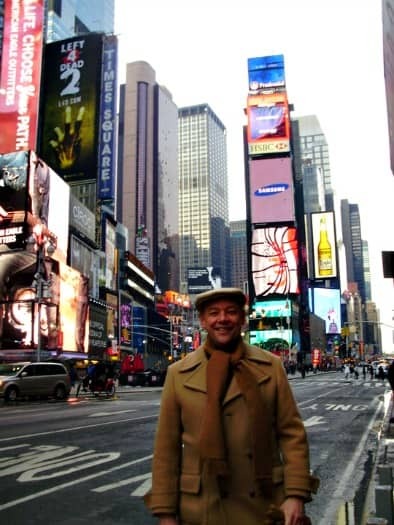 Was there a moment when you realized, “Wow, I could actually be a professional travel writer”? I didn’t really know that being a travel writer was an option. I didn’t even know it was a profession. I thought there were fiction writers and poets and people who wrote for The New Yorker, but I didn’t realize there were professional travel writers. After two years in Japan, my fellowship ended, so I headed back to the States to get on with whatever I was going to do with my life. That’s when the most incredible thing happened: I met somebody who knew Georgia Hess, the Travel Editor at the San Francisco Examiner. It turns out that she was looking to take a one year leave-of-absence and was looking for someone to take her place. The writer that put us in touch was too busy, but said he had met this nice young man who just moved to the Bay Area and he might be perfect. We met for coffee, and she really liked me. She introduced me to the Publisher, Editor and Managing Editor. I got interviewed by all of these people and ended up taking her place for a year, which totally changed my life. I started at the Examiner in 1980. How has the art form of travel writing changed over the last 35 years? It’s gone through a few permutations. Paul Theroux’s The Great Railway Bazaar came out in 1975, and I think that was a really liberating book showing how you could write very personally and subjectively about travel and yet still be entertaining and educational. There was a lot of excitement around travel writing, which was a somewhat new form of American journalism. It was part of a whole new style of journalism that would be practiced in places like Esquire, and by writers like Hunter S. Thompson. It was a really interesting time to be a non-fiction writer. In the 1990s there was a bit of an implosion. Travel writing became a little more formulaic and oriented towards Top 10 Lists, what editors would call “charticles” or more graphic illustrations. Travel writing dropped off a little bit then, and I think it’s experiencing a fractured resurgence now. There are so many more outlets for travel writing today. People are becoming their own publishers, which means you don’t have the benefit of having an editor, but you do have the benefit of putting whatever you want out into the world. There’s an incredible spectrum and diversity of voices. There’s some really great long-form travel writing being done, and more and more experimenting going on. When I was starting out there were maybe 15 influential travel editors who determined what got published and what didn’t. They gave it a real symmetry and shape. Now there are thousands of travel editors, all doing their own thing. There’s a messier feel, but there’s also a lot of interesting work. It’s more daunting as a reader to find out where the good things are, but there’s also a lot of promise and potential. The business has changed a lot, but I think the fundamental principles haven’t changed much at all. 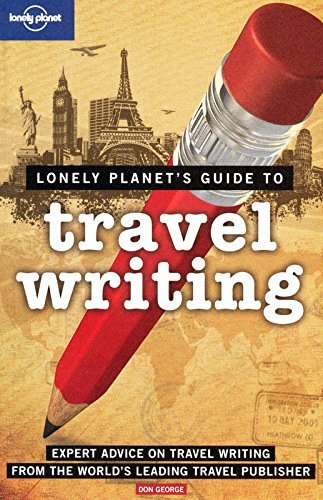 As I say in my book, travel writing should reveal a place, illuminate its details, talk about it in a way that’s honest and authentic, and share what the author experienced in a way that transports the reader to the place and hopefully illuminates something larger about, not just the place, but the world as a whole. 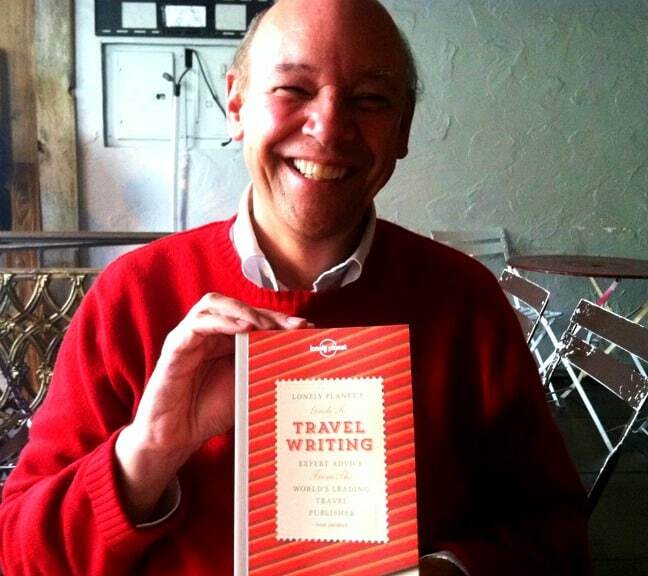 What separates good travel writing from great travel writing? What makes a story sing for you? For me, a story has to have incredibly precise, evocative details that bring it to life. It has to have been lived profoundly and absorbed by the writer. Then it has to be decided that this is the piece of my experience I want to share with my reader, and this is the shape I’m going to give to that experience in order to share it most poignantly. It has to build up to an emotionally resonant conclusion. The really, really great travel stories don’t just present a particular experience in a specific place in a way that I can enjoy and get inside as a reader. They also teach me something about the larger experience of life on the planet and the journey we’re on all the time, wherever we are. They contain worldly wisdom in addition to a particular experience. I decided early on in my career that I wanted to be an editor as well as a writer. Being an editor has enabled me to publish the stories that I really want to write. When you are always dependent on someone else to say yes or no, you don’t have the autonomy or power. How do you see bloggers changing or contributing to the ongoing evolution of travel writing? Blogging as an umbrella is growing. What I thought of as blogging two or three years ago has expanded a lot. There are different kinds of bloggers doing different kinds of things. Either there are more, or I’m better aware of, bloggers who are very concerned with traditional literary quality in their work. The whole art form of travel writing is in intense evolution right now. In my travel writing book, I talk about it like you’re in the middle of an earthquake: You know the landscape is changing all around you, but you don’t know what it’s going to look like when the earthquake is over. There’s a lot of energy that bloggers bring to travel writing– fresh perspective, a sense of potential, and intimate connections with readers. If I wrote an article for a magazine, it would appear 6 months later, and someone might write a letter which would arrive 2 months after that. So 8 months after you wrote the story, you might get a few pieces of mail reacting to it. Now you get emails and social media comments immediately. I think this interaction is really interesting and gives it energy. I love being involved with blogging because I do feel that energy, and I love teaching and sharing what I’ve learned. When you teach, you learn just as much as you give, which is really important for me. It’s a profound commitment for me at this point, because it is the cutting edge of wherever travel writing is going. I’m very much aware of where travel writing has been, and I’m excited to see where it’s going. I think being part of the blogging world is going to enable me to do that. 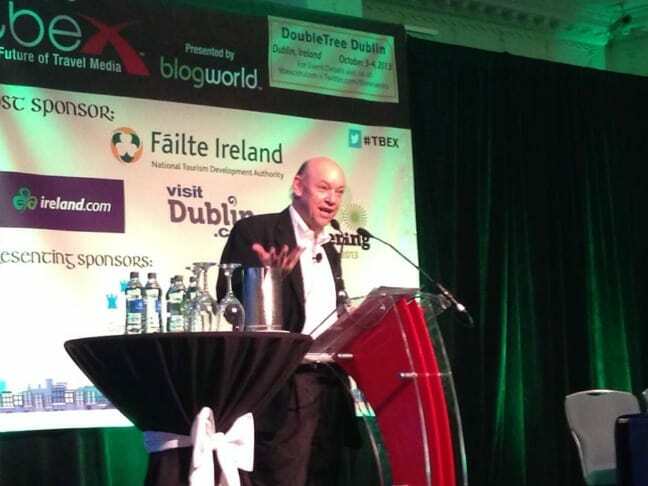 What’s your advice for bloggers looking to break into the traditional media world? I think it’s a great goal to have! Working in the traditional journalism world gives you certain fundamental grounding principles and practices about what you’re doing that are really important, such as research, fact checking, and making sure you’ve got it right in terms of information, grammar and spelling. It entails a certain level of professionalism that is super important for people to have in order to honor themselves. It gives you a different sense of the world in which your work moves. When you write for a print publication, it’s a whole different dynamic than when you write for your own blog. You’re usually working with an editor and an audience that’s coming from a different background, and existing in a different context. I think it’s an experience of growth and expansion. In the same way that I like to travel to as many different places I can because it makes me better all the time, I think writing for as many different outlets as you can makes you a better professional writer. It’s great to have a blog, but it’s also great to write for a print publication that has a more traditional publishing model, where you’re working with different editors and they’re reworking your writing. There is a lot of debate in the blogging world over whether writers and other creative professionals should be willing to “work for exposure” in order to establish a career. What is your take on it? I think that’s a really important question. My feeling is that there are different kinds of payment. Sometimes you’re at a point in your career where you get offered an opportunity to do something and the payment is not going to be in dollars, but in exposure or reaching an audience you really want to reach or establishing a relationship with an editor that could pay off down the road. I think that’s fine. People should not adopt a black and white attitude about it, like “this is bad 100% of the time, no matter what the circumstances are.” I definitely understand the argument that if everyone wrote for free, then there would be no incentive to pay writers and we would all starve. But I know of many cases where people have done things for a lot less money than they thought they should get, or even no money at all, and it ended up leading to an ongoing gig or creating a relationship with an editor who later moved to someplace where they had a bigger budget. I think it needs to be examined on a case by case basis. I would never automatically disparage anybody who was writing for “nothing,” because I often think there is a “something” there. Your Book Passage conference has helped a lot of budding professional travel writers (including GGT’s Amy Gigi Alexander). What inspired you to start the conference, and what can first-time attendees expect from it? The conference goes back 24 years. Book Passage is this wonderful bookstore about 15 minutes from San Francisco. I was trying to do what I thought were groundbreaking things at the Examiner: When I took on the job of travel editor, I decided it was going to be my travel magazine that came out weekly instead of monthly. I was publishing poets and fiction writers, and I was trying to do innovative things that focused on quality of writing, thought and reflection. We started out very small. I think it was a 3-day conference to begin with, and the amazing saint Jan Morris was our first guest of honor. Her presence led to the kind of credibility I’ll never forget. We started out with workshops in travel writing and some panels. It was a small, humble affair, but over the years it has grown. Now there are 20+ faculty members, with 100 students. We’ve expanded into photography and the digital aspects of travel writing, essay writing, and writing for newspapers, magazines, websites and books. It’s meant to cover everything an aspiring travel writer needs to know in four days. In the morning, there are workshops from 9-12, and then in the afternoon there are a range of panels focusing on all aspects of writing. In the evening, there are on-stage conversations, slideshows, talks by authors and other events. I think of it as a celebration of travel writing. 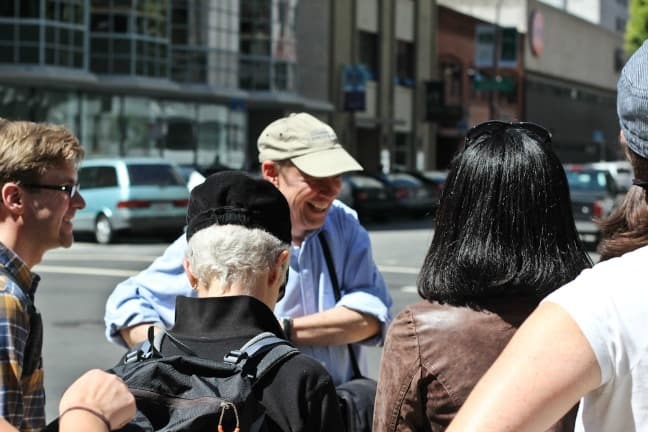 It’s basically like summer camp for travel writers– a very intense emotional experience. On the last day you’re crying because you’re leaving people you’ve bonded with forever. Every year, a few people’s lives get changed profoundly: Careers take off, they quit their job, travel around the world, meet an editor who changes their professional potential… all kinds of amazing things happen. It’s astonishing to me as the co-founder and chairman. It’s like a garden growing under my fingertips that I wasn’t aware would ever be as glorious and wonderful as it is. It’s incredibly gratifying. I wanted to end with a question about the way people travel, because it seems to be changing at an exponential rate. Why do you think intimate, experiential travel is growing so rapidly in relation to traditional sun and sand resort tourism? I think it’s partly an outcome of all of the technological wonders we’ve surrounded ourselves with. Not just the Internet, but social media, cell phones and the way we interact with each other now is a lot more disconnected than it used to be. When my mom was a youngster, the telephone was just coming in. Now, when you think about how we communicate, it’s such an impersonal, anonymous form that consumes a lot of our lives. It’s communication at a distance. I think a lot of people have a hunger for connection and person-to-person discovery, sharing interactions that we get less and less of in our everyday lives because of the way we’re interacting with the world. I think travel becomes a conduit because it lifts us out of our routines. Suddenly we’re freed to try different ways of communicating with the world. I think people realize how incredibly fulfilling and important that is once they taste it a little bit. Travel is addictive in that way. That interpersonal, on-the-spot, face-to-face, flesh-to-flesh communication is addictive in that way, too. So I think that is what’s happening. More and more people are feeling vaguely, inarticulately out-of-touch– “I just kind of feel lonely out here.” Travel lifts them out of that and into very intense experiential situations. It comes flooding back what’s so wonderful about that, and why that is such a good thing in our lives. As we get more and more technologically sophisticated, we get more and more hungry for that kind of human interaction. Thank god travel is providing that, because the more disconnected we get, the worse the off the world is. I often feel that our outer travels are mirrors of our inner travel, or vice versa. The further out we get, the further inside we get. We discover these amazing internal landscapes that we hadn’t noticed at all before, and suddenly a whole new world is opening up inside us. That’s incredibly exciting. It’s all about the same word– connection– but it has such different meaning. I’m “connected” with 5,000 followers on Facebook, but that doesn’t bring me a whole lot of joy.